The present paper defines process windows for laser welding of thin copper and aluminum sheets in Al-Cu and Cu-Al lap-joint configurations, exploiting different process strategies and parameters. 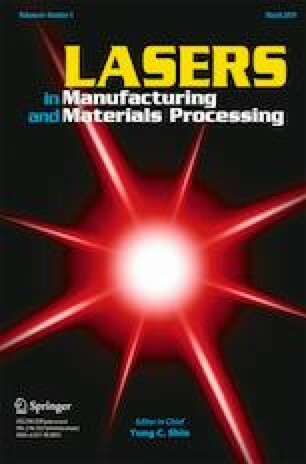 A single-mode continuous-wave (CW) laser source was exploited with both linear and wobbling strategies. In both cases the influence of several parameters, such as, laser power, spot dimensions and scanning speed on the resulting microstructure and joint strength was analyzed. The influence of one, two and three parallel beads on the maximum shear strength was also evaluated. The optimum process configurations were finally determined based on maximum joint strength in shear tests and the mixing of the two parent metals occurring after welding was determined by means of SEM-EDS analysis. The authors would like to thank Dr. Flavia Lerra and Dr. Vincenzo Dimatteo for leading the experimental and characterization activity and Dr. Luca Poggio and Dr. Elena Ligabue for their technical and economic support.